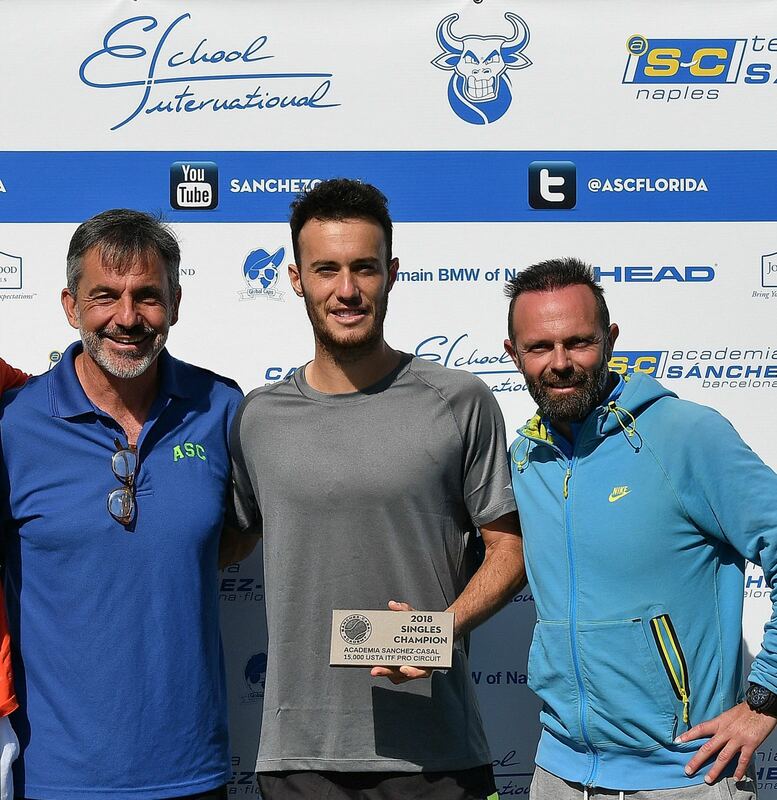 Emilio Sánchez, CEO of Academia Sanchez-Casal in Florida and Oscar Burrieza, coach of the Madrid Tennis Federation analyze these topics during an interview recorded at the $15,000 Men’s Futures at ASC, where two of Burrieza’s players competed: Javier Marti and Miguel Semmler. This is a great opportunity to learn from two tennis players who transitioned to coaching and know the necessary skills and challenges that athletes face. This entry was posted in Coaching and tagged Academia de tenis, Academics, atp, Coaching, Copa Davis, Emilio Sánchez Vicario, Health, interviews, jugadores de tenis, Nutrition, Sánchez-Casal Academy, Sánchez-Casal stories, Spanish Tennis, tenis americano, Tennis, Tennis players. Bookmark the permalink.